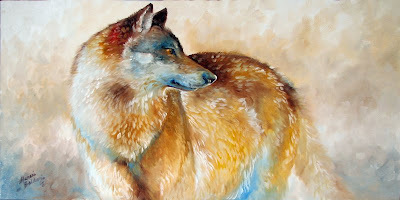 The third in this series of Lone Wolves, available direct from the artist. 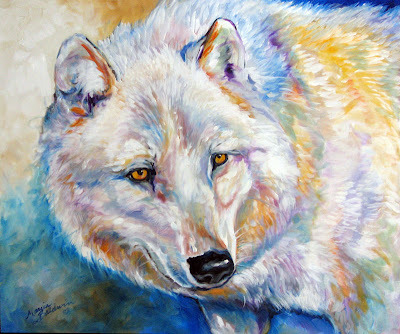 Masterful brush work and a play on dynamic color in the white coat of the White Wolf. 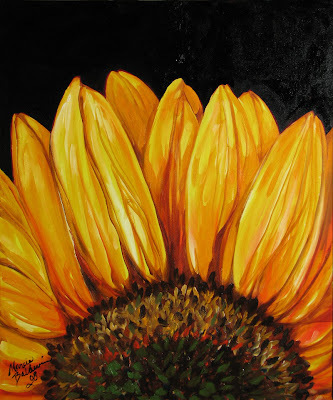 Color theory is one of the focal points in an M Baldwin original. 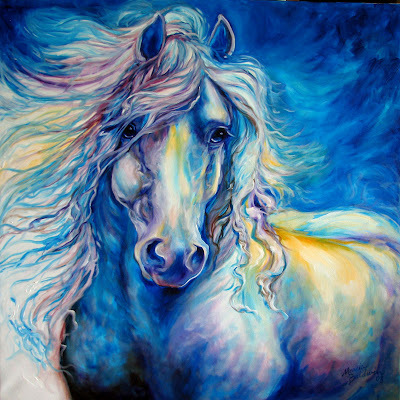 This is a collector painting, an original oil painting on gallery wrap canvas. No frame needed. Buy direct from the artist, M Baldwin. Thanks for supporting original art by American Women Artists. On the eve of my dream vacation to Montana, Wyoming, and Colorado, I am hopeful to see many many wild buffalo on the open range. 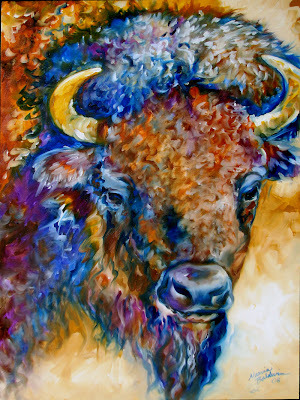 Here is my newest wildlife painting, BOLD color, BOLD brush strokes, BOLD design, this is an original oil painting of BUFFALO YELLOWSTONE. 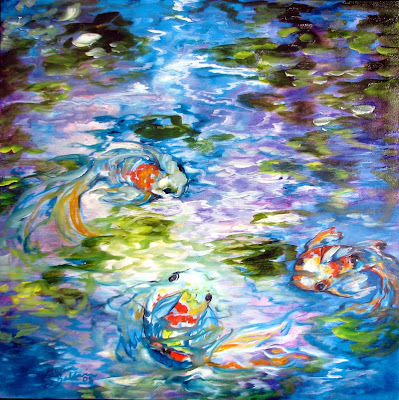 "9 KOI & 2 LOTUS"
This is an original oil painting by M Baldwin, award winning equine artist, collected in private and corporate collections. 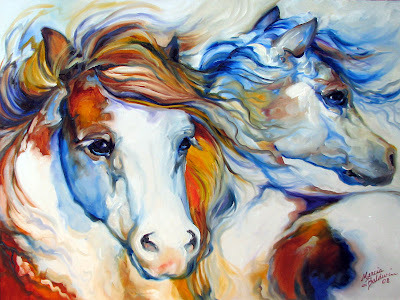 Two Vanner Colts, with wind in their manes, watching in their great expectations, this painting is full of bold color and expressive brush strokes. 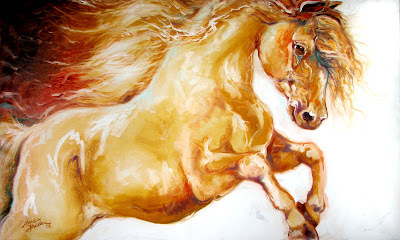 “Gypsy Gold does not chink and glitter, it gleams in the sun, and neighs in the dark”. This proverb believed to be from to the magical relationship between gypsies and their most treasured objects, their horses. 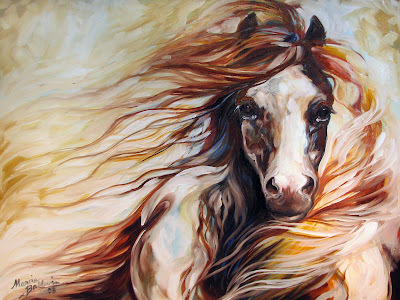 “Gypsy Gold does not chink and glitter, it gleams in the sun, and neighs in the dark”. their most treasured objects, their horses. 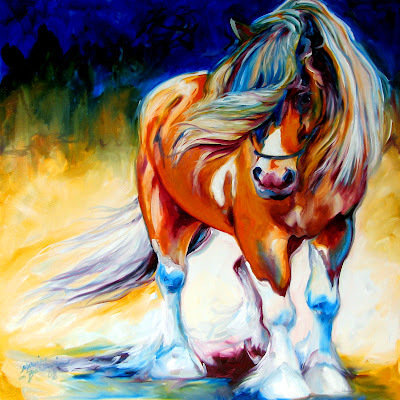 This is an original oil painting of a Gypsy Vanner Horse named Cowboy. when asked if I could paint his portrait, I was happy they agreed. 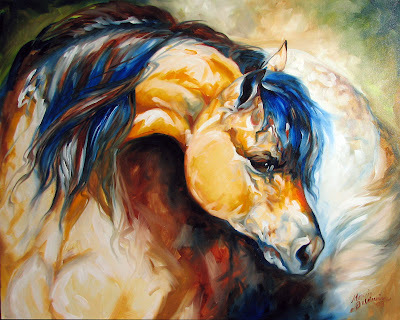 It is now being offered to my collectors of my equine art. 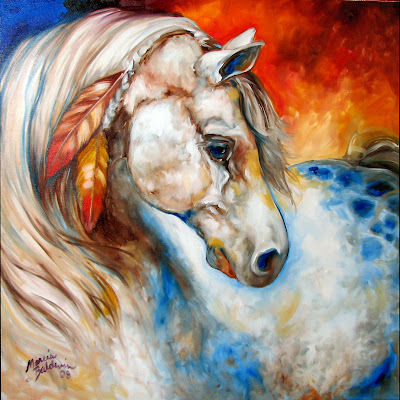 This is an original oil painting by M Baldwin. 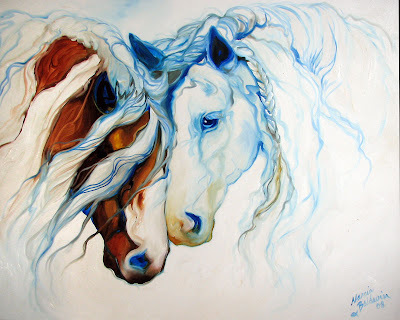 The oil painting has crisp white background and free flowing brush work to depict two horses nuzzling in abstract. Collected worldwide and shown in private and corporate collections. of silver, pearl, and blues and greens. collected worldwide and in many private and corporate collections. 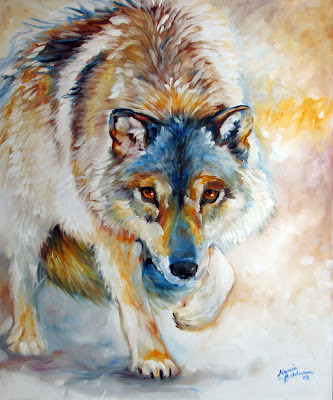 A new wildlife original oil painting by M Baldwin. A lone wolf amidst the haze of day. Muted earth tones and impressionistic brush strokes. Gallery wrap deep edge canvas, ready to display without a frame. FOR A LIMITED TIME, OFFERED ON EBAY AUCTIONS. CLICK ON SMALL FRAMED IMAGE BELOW FOR DETAILS. 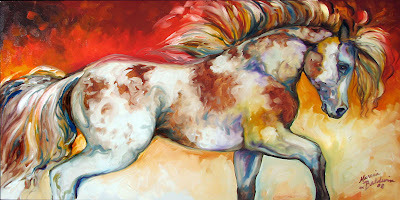 from the Series Titled Earth, Wind & Fire Equines. CLICKING TO OPEN THE SMALL FRAMED IMAGE BELOW. 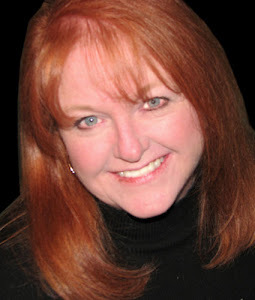 Limited time offered on Ebay Auctions. 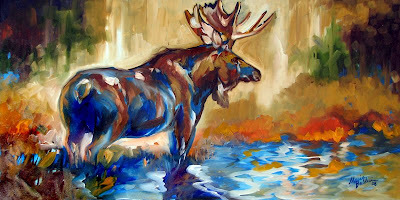 with this original oil painting. as if in real life size !! 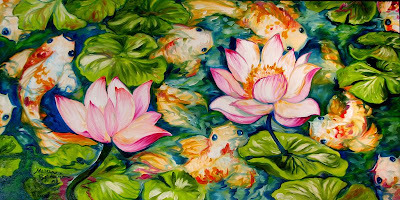 Koi are one of my favorite animals to paint. created with glazes and drip technique. to create the sparkle on the water surface. 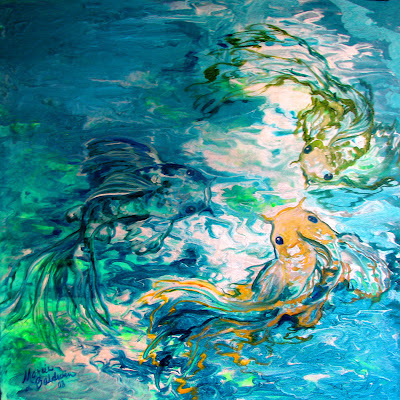 Swirls of water sometime immerse the fish as they play. Like originals by M Baldwin have recently sold for $2850.